WHITEHORSE, YK – A new brewery in Whitehorse focused on “mixed culture beers, fermented entirely in oak” has released its first beers in advance of its upcoming official opening. Deep Dark Wood Brewing has been founded by Matt Waugh, former head brewer at Winterlong Brewing. 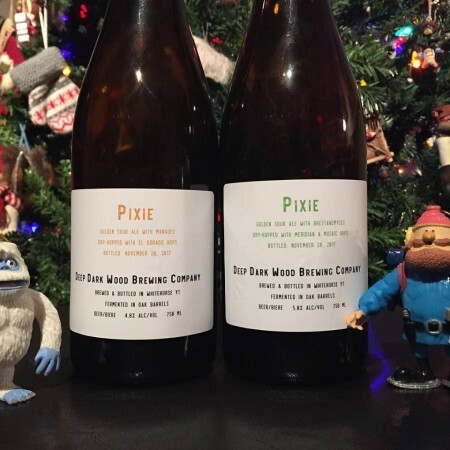 The project launched last month with the release of two versions of Pixie Golden Sour Ale – one featuring a “copious amount of mango”, and the other a “massive dry-hop of Meridian and Mosaic” – at Yukon Liquor Store and Corked in Whitehorse. The brewery’s next release will be Pick & Shovel Saison, which was bottled last week, and is “dry-hopped with Citra and Saaz, with 3 strains of Brett added at bottling.” Assuming final approvals come through soon, it will be available to purchase directly from the brewery at 2A Collins Lane in Whitehorse. For more details, see the Deep Dark Wood Facebook page and recent brewery profile at What’s Up Yukon.